Tomcor excels in logistics management. We track your parts as they move through our facilities, from the time of order to the second finished parts reach your doorstep or your customers' and everywhere in between. You can also count on us to have the right materials, in the right quantities, at the right time. Our integrated order management system combined with our communication and customer service commitment allows us to provide you with accurate status information at any point in the process. Our materials management expertise is driven with foresight and experience. Proficient in Vendor Managed Inventory, we track potential product needs and maintain stock readiness to help reduce your inventory levels and shorten the supply chain. Our internal supply chain activities are tenaciously managed and monitored. We move raw materials and finished parts with equal ease, and strive to add value to your experience by being as efficient as possible at all times. 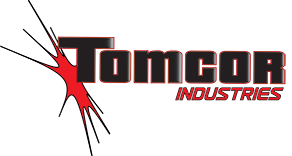 "At Tomcor, we work to be the strongest link in your supply chain."